Our staff has the ability to make your landscaping ideas a reality. 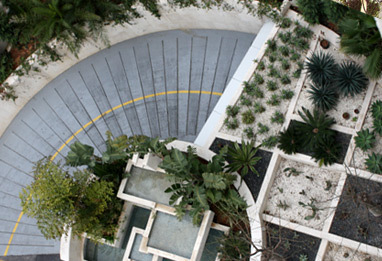 In our initial meeting, we listen to what your ideas for design landscaping or contemporary garden design are. We listen to your budgetary ideas. We discuss the function the site is being set to, what the needs of your family or business are. We examine materials you'd prefer. We take pictures and careful measurements of your site, and we hear all your wishes, dreams, and ideas for site use. Our designers review all that has been discussed in the original analysis of the site and we create a first draft of our conception of how your ideas can be realized. 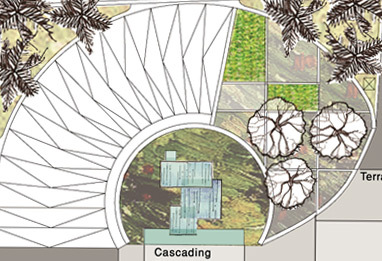 This original overview includes drawings of the site areas – functional, hardscape, and planting - so that your ideas and our innovation, skills and artistry come together into view for the first time. We present the initial plan for your approval and make any alterations you've requested. We then create a Master Plan to scale showing the layout of all materials. You're invited to our Garden Centers to choose the proper foliage, and to meet the staff who will be doing the installation and maintenance.